After being diagnosed with acute myeloblastic leukemia in 1969, Jack Chambers travelled extensively in search of medical treatment. He created this serene still life of daffodils in between two trips to India, having already made similar medical trips to England, the United States, and Mexico. 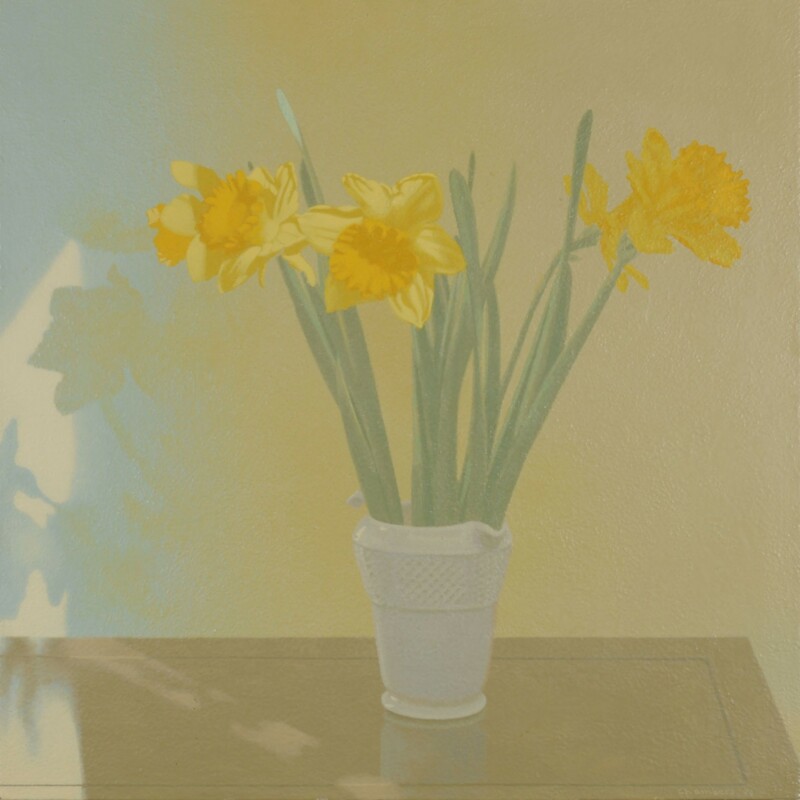 Chambers would return to the subject of daffodils in the final years of his life (1977 and 1978), creating lithographs that share the unique quality of light found in this canvas. From the late 1960s until the end of his career, Chambers devoted his art to the exploration of the everyday and an approach that he called “Perceptual Realism.” Most often, he would take photographs and then divide the photo’s surface into a precise grid formation. Next drawing a grid onto a piece of wood or canvas, he would painstakingly transfer each section of the photographic image onto the larger surface. As Daffodils attests, this precise technique delivers a high degree of surface detail. Yet it is Chambers’ consummate skill in rendering light that imbues the everyday with an ineffable, almost otherworldly quality.